In the past decade and a half, there’s been a marked increase in the number of people who undergo knee replacement surgery. Fifteen years ago, approximately 250,000 Americans had the procedure. By 2012, the number of knee replacements grew to more than 600,000 per year. There are several factors that may be contributing to this tremendous increase. The population of older Americans has grown significantly as the baby boomers enter their 60s and 70s. There has also been an increase in obesity in America, which researchers have linked to a higher incidence of osteoarthritis in the knees of younger people. But a recent study found another possible reason for the rise in knee replacements—more people may be opting for the surgery before they actually need it. 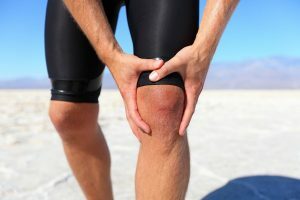 Researchers at Virginia Commonwealth University (VCU) recently published the results of a study that explored whether the knee replacements that 205 men and women underwent met the criteria to be classified as medically appropriate. They analyzed data gathered as part of the Osteoarthritis Initiative and discovered that approximately a third of the surgeries were not appropriate because the patients’ scans and medical records showed that they did not have arthritis that was advanced enough to warrant knee replacement. They also performed a second study using the same data to determine which patients benefitted from the surgery. Only those who had significant pain, limited mobility and scans that showed significant damage to the knee substantially benefitted. These patients reported much less knee pain and better function than before their surgery. Patients whose surgeries were classified as inappropriate in the study had minimal improvement in pain or function, most likely because their pre-surgery symptoms were less severe so there was less room for symptom improvement. How effective is this surgery for a person my age with my level of arthritis? Are there steps I should take before surgery to improve my outcome and lower my risk of complications? How long will I be hospitalized and how long will it take to recover? What type of follow-up treatment, like physical therapy, will I need and for how long? Waiting until knee replacement is actually the most appropriate treatment is important for several reasons, not the least of which is the fact that replacement joints wear out over time. If you get a knee replacement too soon, you may have to have a second surgery in the future to replace the joint, which means you’ll face the risks and the recovery process associated with this major surgery again.